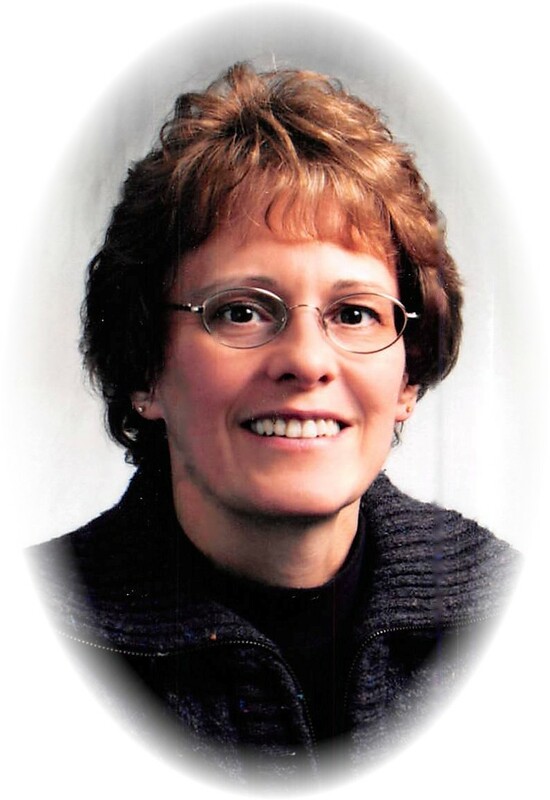 Coleen Gaub Garza, age 54, of Miles City passed away peacefully on March 29, 2019 after a brave fight with inoperable brain cancer. Her loving family was by her side. Coleen Maria was the second of four children born to Harold Albert Gaub and Judith Parker Gaub of Fallon, MT on September 3, 1964. She grew up on the family farm and at a young age was tasked with cooking meals while her parents worked in the field. She continued her love of cooking thru 4-H, perfecting her culinary skills and winning champion ribbons on her cakes and breads. Coleen enjoyed playing the piano, listening to country music, and could easily spend the better part of a day reading. Her parents were active members of Grace Lutheran Church, Fallon, MT. Coleen was confirmed in the Lutheran faith in 1978 and was involved in the church youth group and when old enough, helped out at vacation bible school. Coleen attended elementary school in Fallon and graduated from Terry High School in 1982 where she met her high school sweetheart, Jim (Santiago) Garza. Coleen and Jim married on May 26, 1984 while she was attending Dickinson State University. After graduation they moved to Minot, ND where she completed her Medical Technology Internship. Jim and Coleen returned to Glendive where Coleen worked at the Glendive Medical Center for a short time before they moved to Miles City where Coleen worked in the Holy Rosary lab for the next 29 years before her health forced her to retire. Coleen had an amazing mind for chemistry and biology and took great pride in her job. She organized the local Health Fairs and oversaw the Blood Bank. Although quiet by nature, she was known for her kind words and smile and had compassion and empathy for her patients. A longtime member of the Trinity Lutheran Ladies Guild, she served on the Board of Evangelism and supported Lutheran World Relief. Together Coleen and Jim enjoyed trips to Texas and attended car show events, and never missed an opportunity to dance to a good band. They loved to travel to see good country bands including night shows at the local fairs and enjoyed the Barn Players productions. Coleen’s life centered around her sons Kody and Daniel and nothing brought her more joy than the arrival of her first grandson, Tucker. In January of this year, she was able to hold and welcome her new granddaughter, Eve, into the world. Coleen was a caregiver and always made time for her family. Coleen mastered the art of cake decorating and her boys could count on meticulous, creative birthday cakes. On her days off, a hot breakfast and lunch always waited on the table. Coleen supported Daniel’s band trip to Europe by selling her well-known German Kuchen and cookies. She surprised us all when she joined the women’s trap shooting class. She became a good shot and even had her own gun. Coleen enjoyed collecting and restoring antiques, yoga, evening walks with Jim, gardening, and sewing blankets and pillows for her sons and a special quilt for her grandson. She also had a tender heart for her beloved rabbit and guinea pigs. Coleen was preceded in death by her grandparents, her mother, Judith Gaub in 2005, and father-in-law, Santiago C. Garza in 2010. Coleen is survived by her husband of 34 years, Jim Santiago Garza; sons, Kody (Jessica) Garza and Daniel Garza; grandchildren Tucker and Eve; father, Harold Gaub; brother Ty (Monica) Gaub and sisters Sarita Gaub Brievik and Noel (Jay) Gruba; mother-in-law Antonia M. Garza; sisters-in-law Lupe (Frank) Rodriguez and Mary (Duane) Fischer and brothers-in-law Steve (Alma) Garza, Louis (Jennifer) Garza and David (Liza) Garza and numerous nieces and nephews. Visitation will be held on Thursday, April 4, 2019 with family receiving friends from 3:00-6:00 p.m. at Stevenson & Sons Funeral Home followed by a prayer service at 6:00 p.m. Funeral services will be held on Friday, April 5, 2019 at 10:30 a.m. at the Trinity Lutheran Church in Miles City. Interment will follow at 2:30 p.m. in the family lot of the Prairie County Cemetery in Terry. Should friends desire, condolences may be sent to the family by visiting: www.stevensonandsons.com. Should friends desire, memorials can be made to Wake Up and Lace Up, The Saint Vincent Foundation, or Holy Rosary Hospice. Prayers of comfort for the pain of your loss. Kody, I know we only went to school together,but I am so very sorry to hear about the passing of your mother. My thoughts and prayers are with you and your family. Jim and family, We so sorry that you have lost Coleen. She was always so kind. Our thoughts are with you all. My thoughts and prayers to you and your family. Coleen was a wonderful lady, she always had time for a short visit where ever she saw you. My thoughts and prayers are with you. Coleen was an incredible woman to work with. She held us all to a higher standard and managed to do it in her naturally sweet and compassionate manner. She will be missed. Thoughts and prayers to you Garza and your sons…so glad Donnie got to visit with coleen about a month ago…You’ve been a great friend to Donnie now it’s are turn to return the favor …just know we’re here for you. My condolences to the family. Colleen was the sweetest soul. I am sure she will be watching over all. He tender heart will be missed. Oh Colleen! May you be pain free now ♥️ To the Garza family- I am so sorry for your loss. Colleen was such a knowledgeable person, I enjoyed visiting with her and learning little nuggets from her whenever I was in the lab. I am happy to know she was able to meet her granddaughter a short time ago! I recently lost a family member to this same disease.. it is so swift, unrelenting, and unfair. My thoughts are with you all. Such sad news, may your family be comforted by the Grace of God, family and friends. I didnt know Colleen well but she always spoke to me and was very friendly. My prayers are with all of you. I am so very sorry. R.I.P., Coleen. Our sincere sympathy to the family of Coleen. Please know that you are all in my thoughts and prayers. I have so many memories of Coleen when we were growing up. I loved spending the night at her house and picking eggs and walking to the bus in the morning, and of course there were the many hours spent at Grace Lutheran Church- Sunday School, Bible School…. Memories I will always cherish. She is gone from our world way to soon but I hope there is comfort in her life everlasting. You have a beautiful Angel watching over you. Jim and Sons, I am So Very Sorry to hear about Colleen! Such a Beautiful Sweet Lady!!! My Thoughts and Prayers are with you All..
May all the sweet memories of Coleen bring you solace during this time. We hope that all the great moments that you were able to have with her before she passed away brings you comfort. We will be praying for you during your time of loss. Know that we are all thinking of you. Our thoughts and prayers go out to the family. A ray of sunshine who always said hi to everyone and you truly felt that! Words are blurry through tears of loss, but smiles triumph at the knowledge that Colleen is now dancing with Jesus. So sorry to hear about Coleen’s passing. Our thoughts and prayers are with you and your family. Jim and family, I am so sorry for your loss. My thoughts and prayers are with you all. Coleen was an very special lady. She will be missed by many. We are so sorry for your loss. May your memories of Coleen comfort you during this time. So sorry Jim and family I so wished she could have got better. May she rest in Peace and pain free . Big Hugs and Prayers are with you all. We are so very sorry for your loss. What a sweetheart she was! Our thoughts and prayers are with you. We are so sorry to hear of Colleen’s passing. She was a great lady and will be missed. Praying for God’s comfort for you all. I am so very sorry for your loss. What a gentle soul! Thoughts and prays! So sorry for your loss, keeping you in my prayers. Jimmy I am so sorry for your loss of your wife. Hugs to you. You are all in our hearts, thoughts and prayers for your loss of Coleen, as she was such a wonderful mother, sister, wife, friend and cousin to us all. We are deeply sadden and are heartbroken as her infectious smile and the joy she brings to everyone will be missed. Hugs, Prayers, and God Bless. Jim and family , I’m so sorry for your loss. Praying for peace and comfort during this most difficult time. Dear Family and Friends: I am sorry for your loss of your loved one. I won’t say I know what you are going through, because I don’t and can only imagine. May God comfort and bless you and help you to treasure your memories of her. Our thoughts and prayers are with your families. We dearly loved Coleen and enjoyed her when we lived in Fallon and Miles City. May the Lord watch over you all during this time. Jim and family, so sorry for your less. May God comfort you all in this very difficult time. Jim and Family. It truly saddens me to hear about Coleen. She was such a beautiful and caring person. Jim and Family, So sorry to hear of Coleen’s passing. When I worked at HRH – I enjoyed the times I worked on the computers and we chatted, she was a wonderful lady, and will be missed by all. My thoughts and prayers are with you and your family, and friends! Dear Jim and family, I am so very sorry!! Coleen will be missed by so many, she was an inspiration and friend! I enjoyed getting to know Coleen while working at HRH – we would often have lunch together and try to solve the worlds problems. I truly enjoyed her advice and enjoyed our friendship. This is sad news for me and all that knew her. My thoughts and prayers are with you always. Coleen was way too young to leave us. She was such a delight at the clinic. Our sympathy to her family. Dear Coleen’s family, since hearing of a few months ago of Coleen’s illness she and you all have been greatly on my mind and in my prayers. What a precious, sweet soul Coleen was. I have not gotten to see her since high school so I sure enjoyed reading the loving tribute to her and getting a glimpse into her life and her beloved family. I am sad that I will not be able to come to her service. I would have loved to see each of you. I am praying for comfort and the sweet presence of Jesus to bring you peace. So very sorry to hear of Colleen’s passing. She was a wonderful caregiver. My sincerest sympathy to all of her loved ones. My deepest condolences on Coleen’s passing. I was honored to work with her at HRH. My prayers are for peace and comfort during this time. Our thoughts and prayers are with your families. Coleen was such a wonderful person we always enjoyed visiting with her. So sorry to hear about Coleen’s passing. Keeping you all in our thoughts and prayers. A wonderful lady taken way to soon. God Bless you all. Jim and family – I am so sorry for your loss. God bless your family and my thoughts and prayers are with you. So sorry to hear this news, our thoughts and prayers are with you all. What a great person she was. Thoughts and prayers to everyone during this difficult time. Jim and family, I so appreciated Colleen’s honesty and insight when working with her on committees at church. She was a bright witness at Trinity. Jim, Sorry about Colleen. Prayers to.you and family. We are deeply saddened by this news. Coleen was will be missed by many, she was always so kind and giving and a true caregiver. She has left us all way to soon but is free of pain and is able to rest in peace. We did not know she was ill so this news has been a shock. We’re sending hugs and prayers for your family. Jim, my deepest sympathy on the loss of Colleen. Colleen was such a beautiful woman inside and out. Jim, my sympathy for your loss of Coleen. You two are great people. We are so terribly sorry. Colleen was such a sweet, gentle soul and we know how devastating her loss is to you. May God’s peace be with you all. Heaven has a brand new Angel, that will be watching over her family. I will miss that smile of hers, you have my deepest sympathy. We are so sorry for your loss. Coleen was a beautiful person, inside and out. She was always friendly and fun to visit with. Our prayers are with you at this difficult time. Our deepest sympathies for the loss of Colleen. May God give you strength and comfort during this time. I am sorry for your loss, Jim, of a very beautiful lady. I was so sadded by your loss and how I had neglcted to visit Coleen. She was such a remarkable and kind woman. May she rest in peace. Jim and family Rick and Rene Ottoy would like to say how sorry we are for your loss.We know how hard this is for you and your family.you have our deepest sympathy. May she rest in peace with Jesus and know that you will see her again in heaven.We pray that God will give you and your family all the comfort and strength that you need. This last year hasn’t seemed fair at all. It’s good that all the pain is gone, but just know that you have been and will be missed for a very long time.